This Sunday Sketch is Dirk as a My Little Pony! Are you sensing a pattern yet? 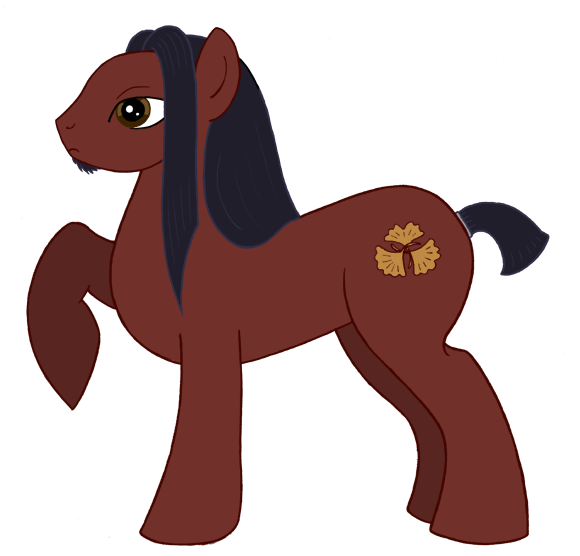 I’ve used the color of his (new) armor as the colour of his coat, and his Cutie mark is three ginko leaves, a Samurai symbol for loyalty. They look pretty.